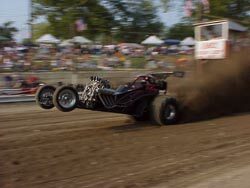 The West Michigan Sand Dragway U.S. Sand Nationals are now complete. The results have been updated with junior class winners. Videos added 7/31. Jay Poortenga took home the Top Fuel class title at the U.S. Sand Nationals. Jay used a hole shot to defeat Pat Goodale 2.84-2.78 in the final round. 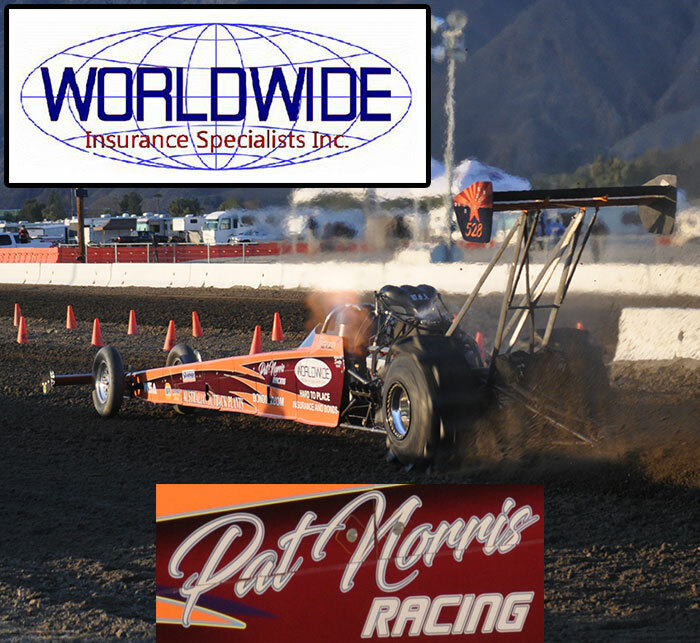 The National Sand Drag Association (NSDA) announced that their September event at the Soboba Casino has been moved up a week to September 14-16. A scheduling conflict with the Casino's Pow Wow necessitated the rescheduling. 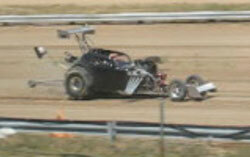 The first half of the Thunder Valley Sand Drags season is in the books. John Moreland and David Hauser had some nasty crashes this year, but luckily they are all right. D.J. Cheese had a nasty spill as well, but he is alright too. Mike Smith joined the 2 second club with a 2.96, with his VW dragster. Here is a recap of the winners from the first half of the TVSD season. Another great month of sand drag racing is in the books. 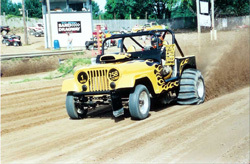 Big events at Thunder Valley Sand Drags, West Michigan Sand Dragway, and Liberty, IN all lived up to their billing. The month of July brings the heavy summer heat in and the racing action slows down throughout most of the country. We will have coverage of events this month from Thunder Valley and Atoka; however the biggest race goes down at the end of the month as West Michigan Sand Dragway hosts its annual U.S. Sand Nationals. 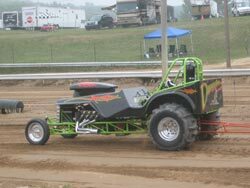 The 2007 West Michigan Sand Dragway season continued on with races on June 16, June 30, and July 7. This recap covers races 3, 4, and 5 of the 12 race WMSD point series. Top Fuel was only consisted at the July 7 race. This race featured three quality entries as Bob Piunti, Jay Poortenga, and Pat Goodale all showed up shooting for the victory. Qualifying was very close with Bob Piunti putting his car in the top spot with a 2.71/125mph pass. Bob was followed by Goodale’s 2.72/118mph and Poortenga’s 2.75/121mph. Bob’s top qualifying spot gave him a round one bye, and he ran it out to a 2.72. The big match up between Goodale and Poortenga ended up with Poortenga taking a hole shot win 2.73/126mph to 2.67/131mph. Pat’s 2.67 would end up as Low E.T. of the weekend. The final round ended up with Jay breaking on the line and Piunti cruising to a 2.80 victory for his second TF class victory of the season at WMSD. Even with 7 months of planning, Mother Nature was still able to throw a wrench into the works of the inaugural $10,000 bracket weekend at Union County Speedway in Liberty, IN. The race was scheduled for Friday & Saturday June 29th & 30th. Severe thunderstorms hit the facility on Thursday, and made parking for competitors arriving early a slippery experience. We all knew the track could hold water and the CIDRA crew had kept the track hard to shed rain so everybody felt confident Friday’s race could go off as planned. Once again, what wasn’t planned was another rain storm early Friday morning. Track owner Billy Daniels and the CIDRA crew worked hard Friday afternoon ripping the track, but it wasn’t meant to be in order to start the race program on time. So, it was decided to cancel Friday’s race and move it to Sunday. All of the competitors that had came in for the Friday race spent the rest of the evening bench racing and socializing. When I was asked to announce at the West Michigan Sand Dragway (WMSD) ATV Bash over the weekend of June 21-23, my first response was, “Do I have to?” I am not an ATV guy, so to speak, and in past years I used the ATV Bash weekends to catch up on home projects, family time, and even trips to check out other tracks. I had pretty much equated an ATV-only race on equal ground with a sport compact or tuner car show; I only have so much time on this earth, and to waste it attending one of those was not high on my list of priorities. Truth is though, my son Dylan could use some more seat time on his quad as he gets back into the Mighty Midget Point Series race and I could use the $$ to do some more racing myself. So, I agreed to announce over the weekend. Dylan and I headed off to the track Friday morning.